Daily creatine consumption can enhance the effect of resistance training on muscle strength in adults over the age of 55. Buy a product that is considerably cheaper than all the competition. The fact is, no reputable company using high-quality ingredients can manufacture high-end products cheaply. Unless there is a sale, if the product feels too cheap, avoid it! We’re also producing some product specific guides to give you more guidance on what to look for for all things sports nutrition. 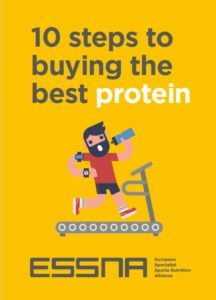 We’ve started off with a protein guide but are working on separate guides for all categories and will continue to upload those to this page as we go along – so please keep checking back!